The snug earring has grown into popularity very recently, mostly due to how straightforward the design is, making it very doable for professional artists, and quite affordable for customers. To many people, it might also be referred to as an anti-helix piercing, or anti-helical fold. Because of its relatively short healing time and flexibility, you can also choose from a wide range of jewellery types, making it a very popular cartilage earrings nowadays. The snug piercing runs along the antihelix of the ear, adjacent to the ear canal. Both the inner and outer cartilage of the ear are pierced, while you of course have the final say on its exact placement. It is a very simple piercing, yet stands out in the uniqueness of the location. If you need information, we have everything from price to size guides and aftercare. How much will a Snug Piercing cost? The Snug Piercing is relatively straightforward for a professional artist, and therefore shouldn’t cost more than any other ear piercing. Often the cost of getting pierced will cover the price of the jewellery too, but be sure to bring extra cash along if this is not the case, and don’t forget that it’s worth paying for quality. The better the quality, the lower the chance of infection, and of course, it will look cooler. Of course, all studios will have different criteria for pricing, including qualification of artist, area and popularity. Always remember to shop around and not go straight for the cheapest option. How much will a Snug Piercing Hurt? The Snug Piercing is a little bit more painful than the standard ear piercing, due to the thickness of the cartilage in the area. Of course, bear in mind that everybody has a different threshold for pain, and something you find painful, someone else might barely notice. It is also perfectly normal to experience some pain or swelling in the first couple of weeks as your body adjusts to its new piercing. However, if swelling and redness persist, it is advised to go to your GP for advice. 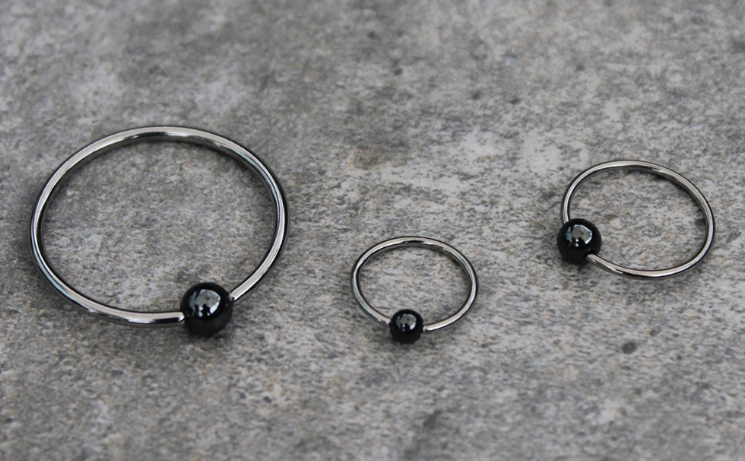 Is a Snug Piercing the right fit for you? The snug piercing may be awesome, but be sure to know what you’re getting into, and if it’s really the right choice for you. The antihelix is curved, putting extra pressure on the healing process, while the piercing will also be on the outside of the ear, meaning that there is more chance of bumps and knocks in everyday life, especially for active people. It also requires extra attention and care for this reason, and to avoid infections and pain, you must be willing to care properly for this piercing. - After cleaning the area along the antihelix with disinfectant, the piercing artist will mark the area which will be pierced. (Be sure to speak up if you’re not 100% sure about the location). - The piercer will insert a sterilised hollow point needle through the marked spot. It only takes a second. - The jewellery you have chosen will then be put into the Snug Piercing, and then it’s all done. - You will be given your aftercare options by the piercing artist, which you should follow carefully, or use our guide below. - A (curved) barbell is recommended for the healing period as it is less likely to be pushed or caught than a ring. - Do not touch the piercing during the healing process, unless when cleaning. Your fingers could be carrying harmful bacteria and may cause an infection. - Finally, make sure to follow all the proper aftercare instructions explained by your piercing artist, which can also be found below. 1. Use a salt spray solution when cleaning the newly pierced snug, at least once a day. 2. When applying the solution, use a thick tissue or non-alcoholic swabstick to clean around the piercing. 3. Make sure the solution soaks right through the piercing by gently twisting your piercing around. 4. Take up to 5 minutes a day just cleaning any discharge which might come out of the ear. Don’t worry, this is normal in the healing process. Just make sure you don’t clean more than twice a day, as any more may cause irritation. 5. Try to avoid chemicals, oils or ointments in the first four weeks of healing, but after this, they can be extremely helpful. You can find several aftercare products for your piercing on our website. As will all piercings, there are risks involved when getting a Snug Piercing. - There is always a risk of infection, even if proper aftercare is taken during the healing period. - The antihelix may also shift the piercing to another location. This is known as migration, and although rare, can be caused by a poor peroration of the ear or lack of proper aftercare. - The snug piercing may also be rejected by the ear, or physically pushed out. To avoid this, make sure to use titanium jewellery the first time as it is more readily accepted by the body. What kind of jewellery is suitable for a Snug Piercing? - Traditional tragus jewellery or classic barbells. - Hoops and rings, such as segment rings. - Curved and circular barbells. - All types of material, from bioflex and surgical steel, to titanium and gold. Enjoy your new piercing. It’s going to look awesome, and don’t get bogged down by all the technical stuff. With proper care taken there should be no problems, and you can show off your awesome new piercing to friends and family.